The Walibi amusement park just outside of Lyon begins its 2018 season with Festival City and three new rides. 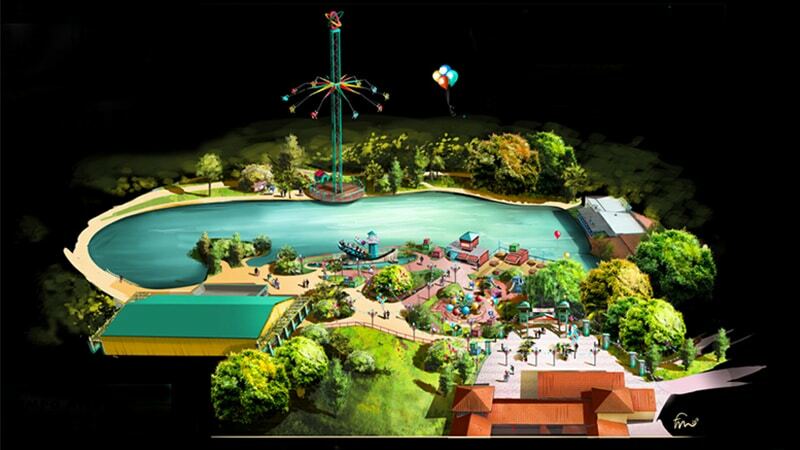 Walibi Rhône-Alpes amusement park expands its rides this year, with the addition of Hurricane, Balloon Race, and Dock’N Roll in its Festival City zone. Festival City is a new area running from the park entrance to the historic village full of never-ending festivities in an imaginary land. Making up the new offer are three new rides: Hurricane, Balloon Race, and Dock’N Roll. Hurricane opened in the spring, a giant fan that whirls visitors around in swings. It is the first of its kind to be opened in a French amusement park. Festival City also includes Balloon Race, a family ride for four people in hot air balloons, and Dock’N Roll, sitting on the bank of the lake where visitors can ride the waves, both forward and backward. Walibi Rhône-Alpes is located at 1380 Route de la Corneille in Les Avenieres (38630). Tickets run from €23.50 to €31 and subscriptions from €75 to €99.